On one hand, doctors want their marketing and advertising messages to be unique, and to standout among the competition. At the same time, they work to avoid offending healthcare colleagues with a message that’s perceived as claiming professional superiority. Driven by the forces of reform, healthcare has changed dramatically in the past few years. Competition is increasingly intense, and medical providers have been devising carefully crafted organizational as well as personal branding messages. In particular, “personal branding is seen as a positive way to differentiate oneself in the American workplace,” per the Harvard Business Review article. 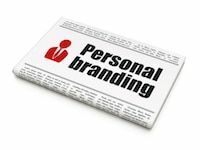 Personal branding for individual doctors is a useful and effective extension of the differentiating brand message of a medical practice or organization. It is a means to control and direct what is unique and relevant about who you are, and thus guide how the audience perceives your professional reputation. Enhance personal and professional satisfaction.